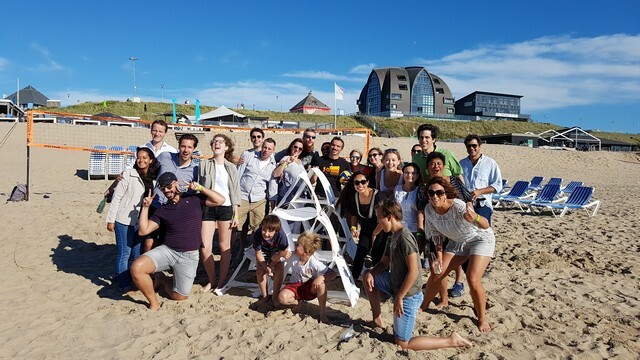 After one week of rain the sun shined as bright as it could for the team building day of Heineken. 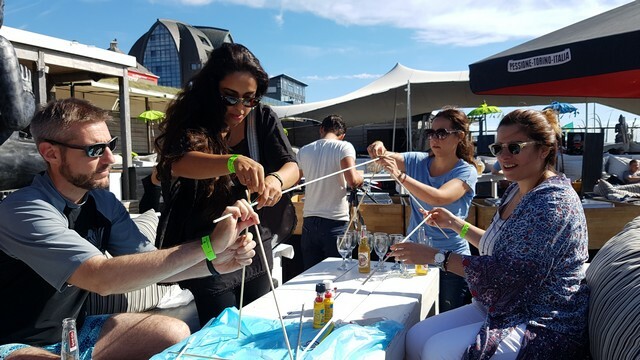 At 5 pm we gathered on the terrace of the beautiful Bloomingdale Beach to start our all star workshop: Mega Kite Building. 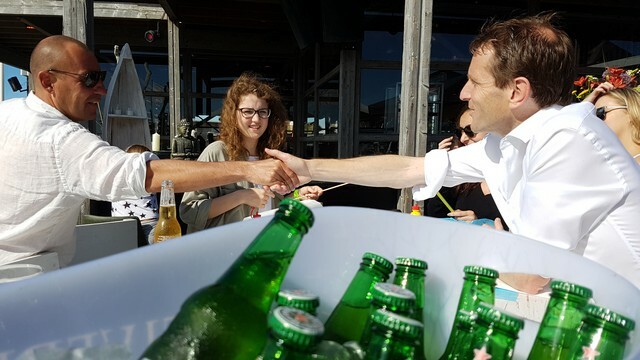 During the workshop the team of Heineken enjoyed the sun, some drinks and worked super effectively. Fast and furious! 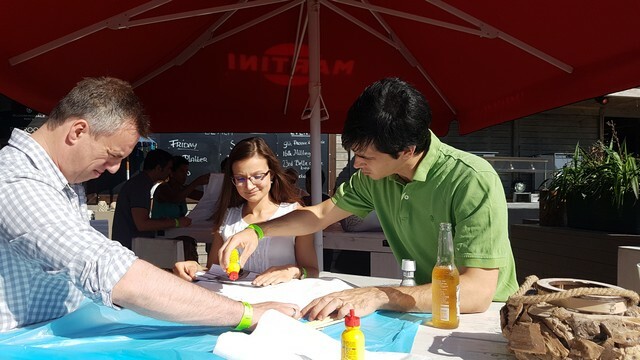 :) Well done! 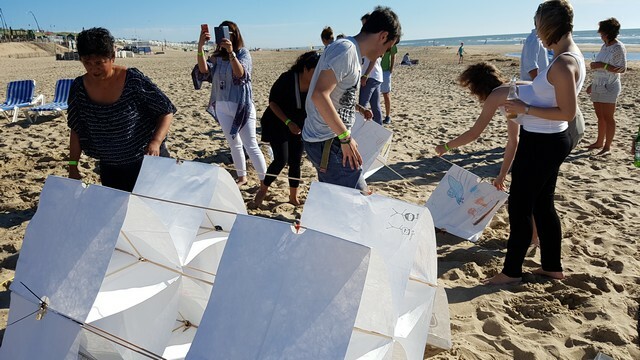 Around 6.30 pm we all walked to the beach, where we assembled the kite. 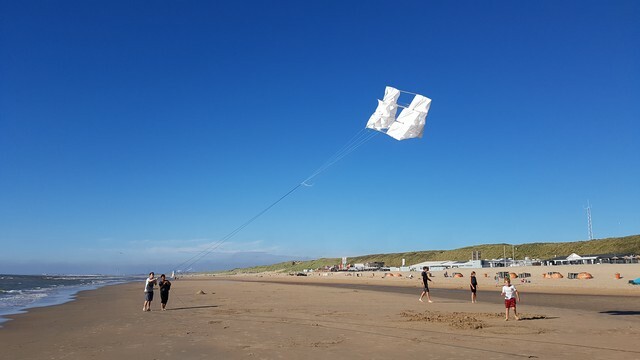 All little parts got attached to each other, forming a strong magnificent kite. We only had one step left: flying the kite! The participants lined up along the rope and started pulling. 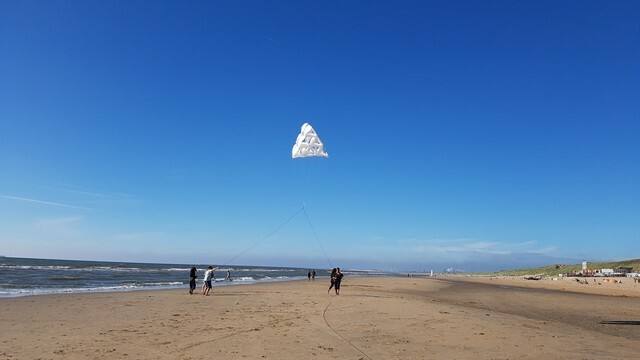 After some hard work and clever logistics the team managed to get the kite up in the air. The kite flew like a charm, after it reached its height it sat in its place, like a calm submissive puppy! Wonderful! 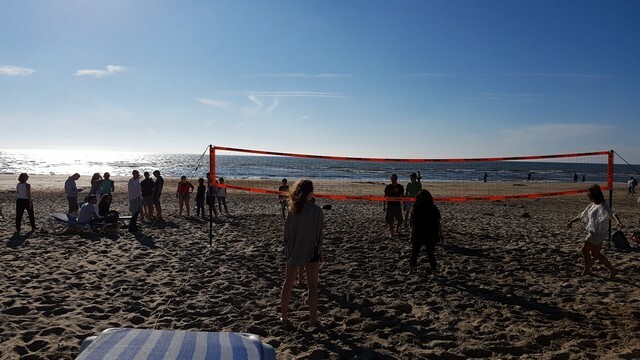 After the fun with the kite the team rounded up the afternoon activity with a quick volleyball match and headed in for a yummy barbecue. 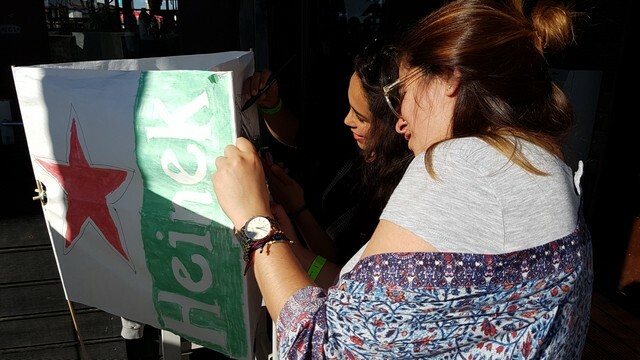 Thank you for your energy and enthusiasm, we hope you had as much fun as we did! Until the next time!